Atlantis carries an extensive inventory of used props! Before leaving our shop, all of our used inventory receives full service which includes cleaning of prop, Prop Scan® Computerized Tuning of 5 Radii to Class 1 ISO 484-2 Standards, any necessary pitch changes, cup strengthening/adjustments, ream bore, file/fit keyway, static balance, pattern blades and a high-grade finish. 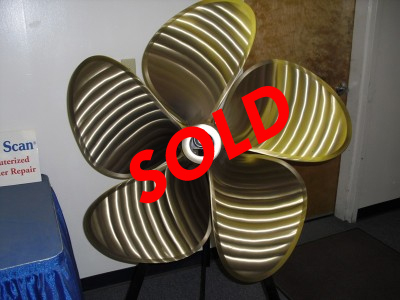 At this time, please call us at 856.231.0106 for used prop inventory inquiries. We are currently working on updating the list here.